alaTest has collected and analyzed 362 reviews of Apple iPhone XS Max. The average rating for this product is 4.7/5, compared to an average rating of 4.1/5 for other Cell phones for all reviews. Reviewers are impressed by the camera and usability. The size and performance also get good feedback, whereas opinions are divided on the portability. Some have doubts about the connectivity and price. We analyzed user and expert ratings, product age and more factors. 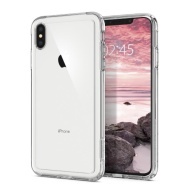 Compared to other Cell phones the Apple iPhone XS Max is awarded an overall alaScore™ of 97/100 = Excellent quality. Exclusive: Caviar celebrates President's Day with a new collection of 24-carat gold-plated iPhone XS and XS Max models. LetsGoDigital unpacks. There are a ton of case options for the iPhone Xs and iPhone Xs Max but we gathered just a few up for this Xs Max case review and roundup. While pricey, the iPhone Xs Max delivers an immersive 6.5-inch display, blazing performance and excellent cameras in an elegant design. The iPhone Xs is an excellent premium phone with superb performance, much improved cameras and a stunning display.